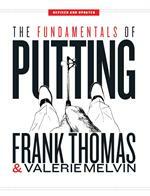 Frank Thomas is the world’s leading expert on golf equipment. As a design engineer at Shakespeare Sporting Goods in the 1960s and ‘70s, he invented the graphite shaft, a piece of technology found in the bag of nearly every golfer today. As Technical Director of the United States Golf Association, he issued thousands upon thousands of rulings on equipment, literally writing the rules that govern the implements of the game. 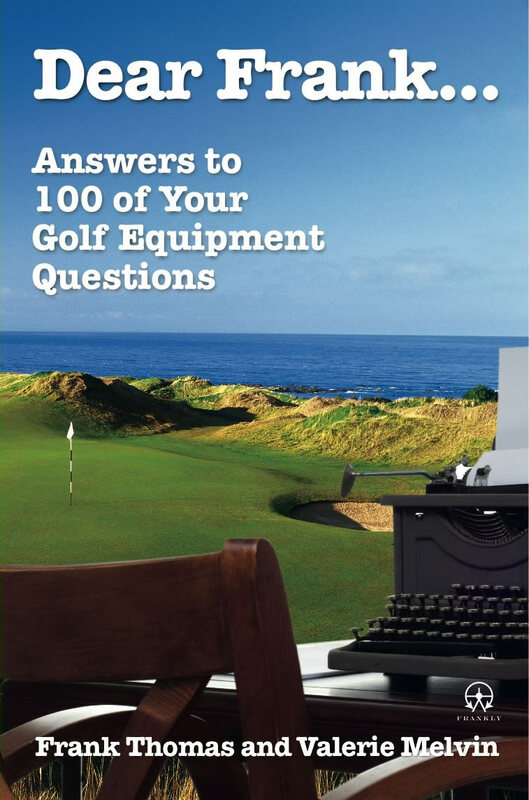 Following on the success of “Just Hit It,” Thomas’s book “Dear Frank…” is an enjoyable, informative collection of 100 question and answers about golf equipment, compiled from Thomas’s popular on-line column, which receives tens of thousands of hits from regular golfers every week. Do regular golfers really play with the same clubs as the pros? Do knockoffs work as well as the more expensive brand names? What’s the truth about titanium and distance? Can a driver lose its pop over time? Are blades or cavity-backed irons longer? Does cold weather affect golf clubs? Does plumb-bobbing really work? Are expensive and custom-tweaked shafts worth the money? Can you clean golf balls in the dishwasher? The answers to these and more are here, in clear and concise language that takes complex technical subjects and makes them understandable to everyone. “Dear Frank…” delivers honest evaluations in an informal, friendly, practical manner, cutting through the hype of golf equipment marketing. Thomas educates and entertains, delivering his customary sterling advice to golfers in need. He knows what works and what doesn’t, what’s worth buying and what’s not worth worrying about. He also knows how you can get the technology you need at a price you’re willing to pay – advice that will save the reader far more than the cost of the book itself. The technical expertise and personal communication in “Dear Frank…” provide a practical source of information that will help all golfers select the right equipment and lower their handicaps while saving them some scratch. 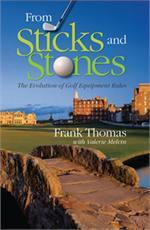 In From Sticks and Stones, Frank Thomas and Valerie Melvin take a close look at how the Rules of Golf have dealt with equipment from their first mention of “Form and Make of Golf Clubs” in 1908 to the ultra sophisticated calibrations of today. 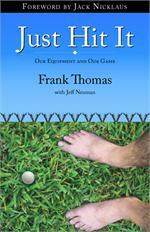 In Just Hit It, Frank shares his knowledge with every golfer. 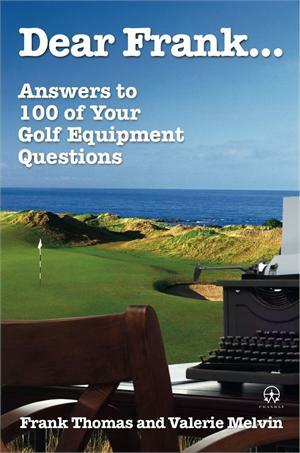 In clear language, he separates the blather of advertising claims from the nuggets of truth, explaining how golf equipment works & describing which features matter. Foreword by Jack Nicklaus.